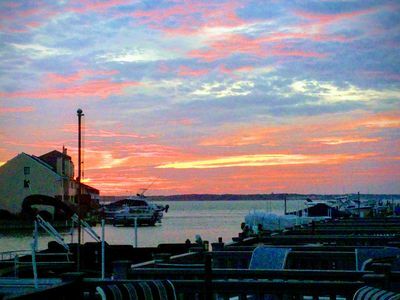 WATERFRONT LIVING AT ITS BEST AT SUNSET ISLAND IN OCEAN CITY, MD!!! It doesn't get any better than this. Book Now for Early booking discounts. Early booking discount as well as the pay-in-full discounts - Ends soon! Note prices do not include rental package. Rental package ($110 in-season / $55 off-season) is separate and distinct and payable directly to Sunset Island at the time of check-in. 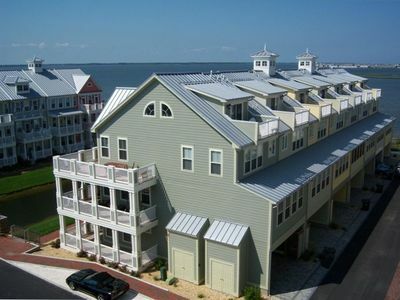 Welcome to Water's Edge, the warm and inviting, premier townhome on Sunset Island in Ocean City, Maryland. 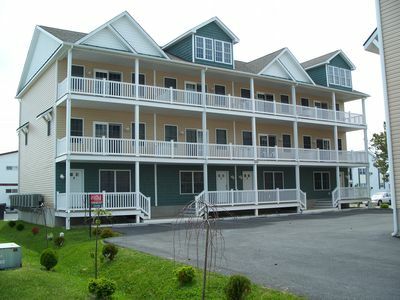 Located just three blocks north of route 90 on Coastal Highway on 67th Street. 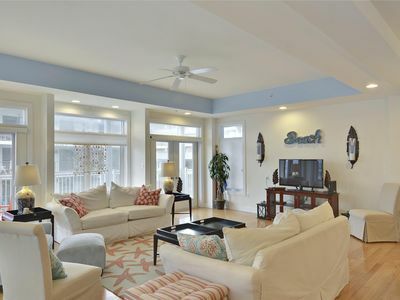 This luxurious, professionally decorated five (5) bedroom - 4 1/2 bath townhome features absolutely breathtaking views of the bay from every bedroom. It does not stop there, as you gaze at the ducks on the canal outside your front door. 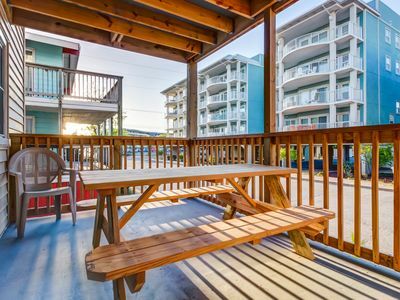 This unique townhome offers three levels of a wrap around deck which allows you to soak up the sun on the upper level or relax on of three wrap around decks. 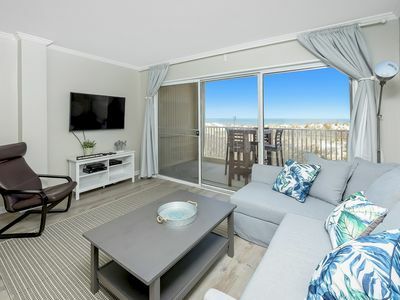 Or visit the loft and sunbathe off the sun deck. Either way, you will find serenity, fun, excitement and a lifetime of treasured memories in this serene tropical paradise you will call home. Bring the entire family and enjoy a special bonding moment while you crack open those crabs, peel back the shrimp, taste a succulent lobster or simply slurp down Maryland's finest Crab soup. All while relaxing at this one of kind custom 10 foot kitchen table that seats 12+. 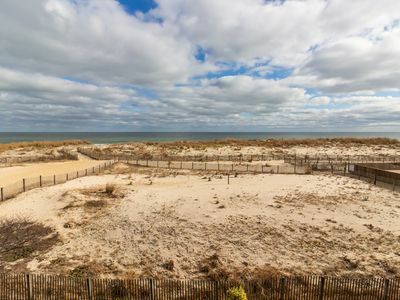 Enjoy the private beach only seconds away or skip to the Ocean just 1/2 mile away. 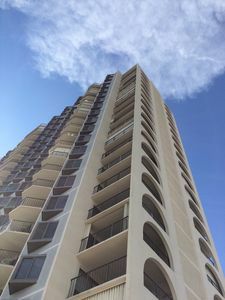 Other amenities include an indoor and outdoor pool, an interactive water fountain, jogging trails, community crabbing piers, marina, and a spectacular weight room and sauna. NOTE - RENTAL PACKAGE IS NOT INCLUDED IN QUOTE. 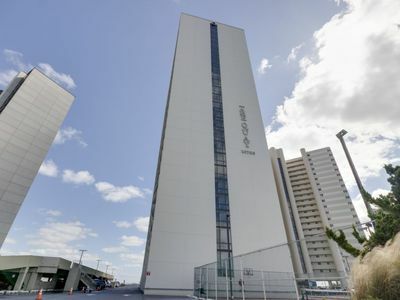 NOTE - GUEST WILL NEED TO PURCHASE A RENTAL PACKAGE DIRECTLY FROM SUNSET ISLAND TO ENJOY THE SEPARATE AMENTIES OF THE CLUBHOUSE, POOLS, WEIGHT ROOM, LIBRARY, AND SAUNA. Feeling hungry by all means visit the Island's Corner Market just two blocks away. Need to send a few last minute emails to friends to boast about your wonderful stay, don't worry a high speed broadband internet is at your finger tips. Wireless (WiFi) internet available as well. 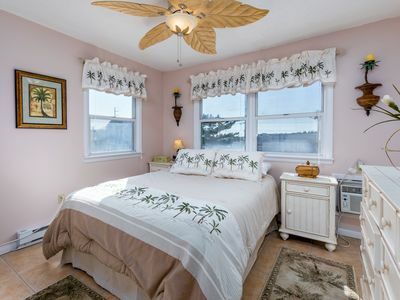 As your day winds down and after all the sun and fun, surf and sand, and the extreme excitement of Ocean City it is once again time to retreat to Water's Edge of Sunset Island and enjoy the many amenities or just lay back and relax on the open deck and get ready to start it all over again. Please know Water's Edge provide for Quilts, comforters, blankets and pillows. 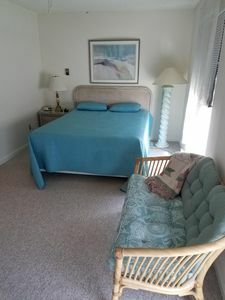 However, Water's Edge does not provide for linens, sheets, pillow cases, towels (dish or hand) or toiletry of any kind. We provide suggested rental companies to provide the above. 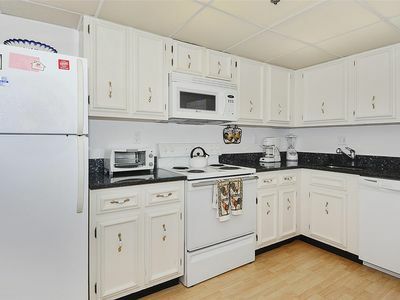 Water's Edge also has a full kitchen for even the most experienced chef. PER SUNSET ISLAND RULES AND REGULATIONS - NO GUEST GROUPS PREDOMINATELY UNDER 25 YEARS OF AGE PERMITTED. STRICTLY ENFORCED - BY SUNSET ISLAND - AT TIME OF CHECK IN. A PERCENTAGE OF ALL PROCEEDS GOES TO MARYLAND'S SAVE THE BAY. Again, rental package SHALL BE be purchased from Sunset Island directly. Sunset Island issues a rental package at the time of guest check in. The cost of the rental package varies per season. Off-season rates are $55.00 per rental package. In-season rates are $110.00 per package thru September. These rates are subject to change. Again, rental package is not included in your quote. 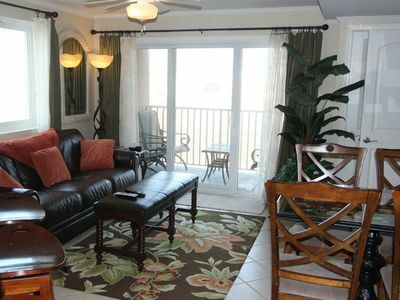 The rental package consists of six (6) clubhouse passes for entry into the clubhouse which includes indoor /outdoor pool. Note outdoor pool shutdowns in mid-September. Additionally, the club house includes a workout facility, sauna, locker rooms, library, café and other amenities. 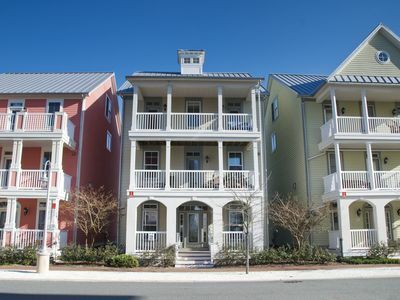 Additionally, the rental package consists of three (3) parking permits for guests. Should a guest require additional clubhouse passes the cost is $70.00 per person per stay (in-season) and $50.00 per person per stay for off season rentals. Prices subject to change. Please note all passes are interchangeable amongst persons within group. Thus if no more than six (6) people will be at the clubhouse at any given time then you are fine. However, if you perceive additional persons, above six to be at the pool at any one given time then additional passes shall be required. NOTE: LOCAL OC FIRECODE PERMITS 12 PERSONS MAXIMUM. Now available! Just opened up 2019 dates! 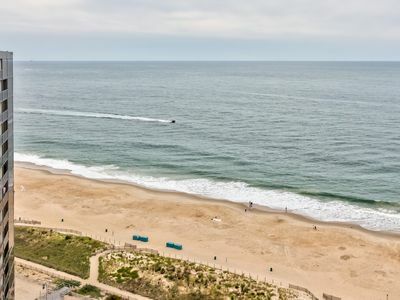 Ocean City beach front Condo on the 20th floor with stunning panoramic views!!! FREE DAILY ACTIVITIES!!! OCEAN & BAY VIEW!!! 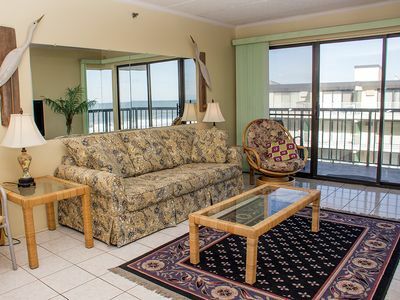 2 Bedroom/2 Bath condo with beautiful ocean view with the added bonus of a bay view. 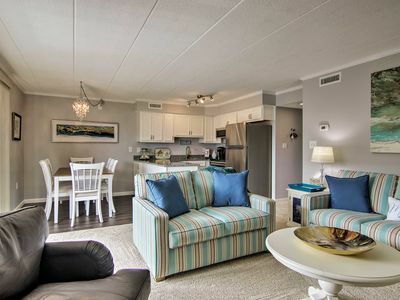 Cozy and charming, with newer furnishings, this unit will make you feel at home. Gorgeous! 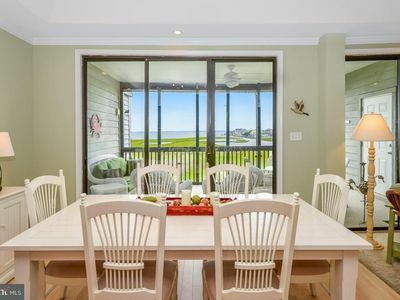 Updated Oceanfront - Wi-Fi, Pool & Ocean Views! NEW! 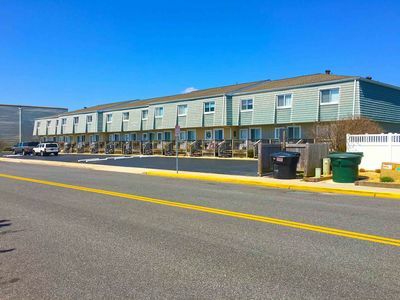 Ocean City Condo - Walk to the Beach! 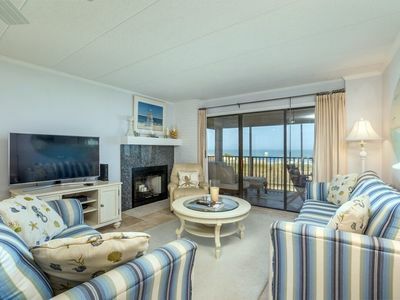 Gorgeous Recently Renovated Oceanfront Condo With Amazing Views! 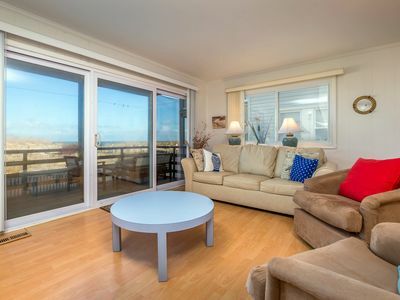 1/2-Block to the Beach in Mid-Town OC - Great Views from Private Balcony!